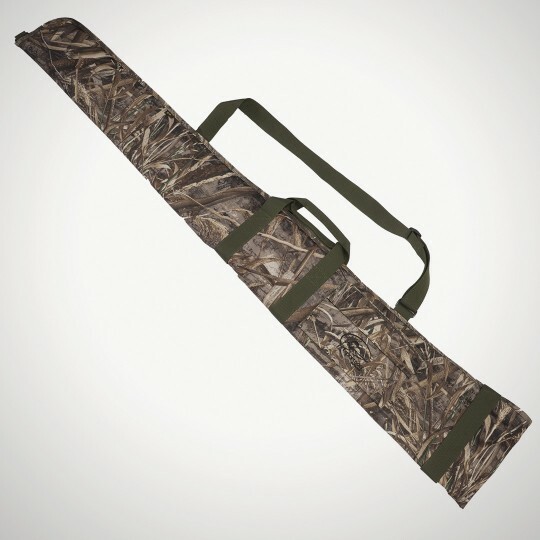 This sleek shotgun sleeve not only looks outstanding in Realtree Max-5® Camo, it's also great in the field. The sleeve features a closed cell foam material for flotation and an accessory pocket for keeping your hunting gear close and easy to access. The heavy duty woven nylon is durable and folds easily for storage. 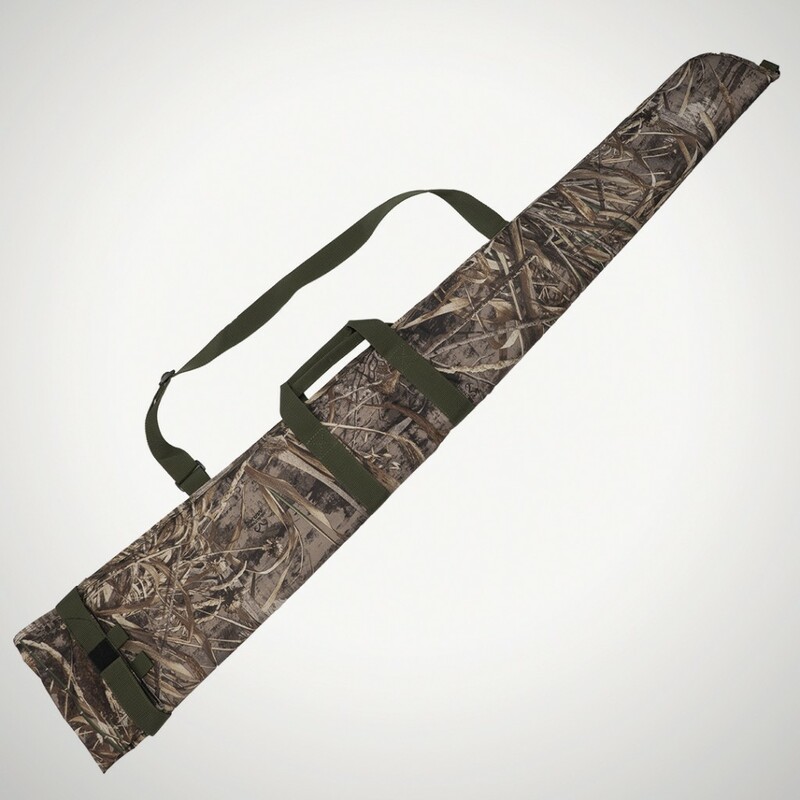 With web strap handles and a shoulder strap, it's easy to carry and bring on any hunt.